on the Championship course between Putney and Mortlake. The race is for the pair of silver sculls first presented in 1830 by Henry C. Wingfield, ‘to be held by the best’. Entries will be considered at the AGM on 15th October. ​​The umpire’s briefing will take place outside London RC at 12:30. All competitors and their following-boat drivers must attend. The umpire will detail the safety procedures and how the Championship will be run. Competitors must be familiar with safety instructions and attend umpire’s briefing with their steerer. There will be presentations at Tideway Scullers’ School boathouse after the Championship where the press will want to talk to the competitors and the winners. Refreshments will be available. Please ensure that you have read the attached instructions for the race and are fully aware of the safety procedures. The race fee will be £50 to be paid before you race, cheques made out to the Wingfield Sculls. The race is the contest for the Silver Sculls presented by Mr. Henry C.Wingfield in the year 1830 to scullers on the Thames, for the annual Championship of the Thames, incorporating the British Amateur Sculling Championship. 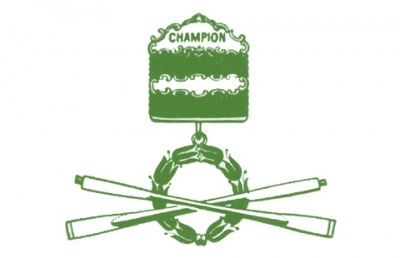 The Women’s Championship was founded in 1928 but the title left the Thames when the National Championships were founded. The Wingfield Family Society has presented a new trophy for the Women’s Championship in 2007. The race is open to all scullers of the United Kingdom and Northern Ireland, registered to race with British Rowing and will be raced over the Championship course from Putney to Mortlake. The management of the amateur championship shall be in the hands of a committee made up of all the previous champions. The committee shall meet at least once a year to examine the entries and appoint an umpire. The committee reserves the right to refuse or return any entry up to the time of the start of the race. Entries will be considered on the 6th November 2017 at the AGM. The Championship will be run under the guidance of Row Safe and the TRRC/PLA’s code of conduct for rowing on the Tideway. All those involved with the Championship should be familiar with both Row Safe and the TRRC/PLA’s code of conduct for rowing on the Tideway. The umpire will conduct a briefing an hour before the start of the race, all those involved in the Championship race must attend; safety officer, medical officer, competitors, launch and following-boat drivers, aligner and distance judges.